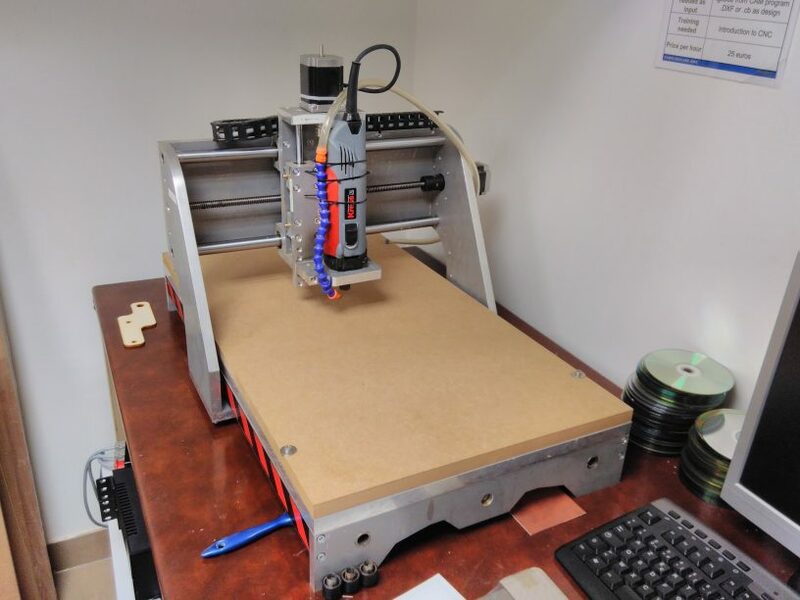 The Comfrey 3 axis CNC machine is a robust, solid Badog X2 CNC using Mach3 control software. Dimensions: This machine can work with stock materials up to 330 x 610 x 70mm. Materials: You can machine wood, plastics, brass and aluminium with this machine. It is not suitable for harder materials like steel. Toolchain: Anything generating G-Code suitable for Mach3 should work. We have a downloadable post-processor for Fusion 360.